In this highly accessible history of anarchism in the United States, Andrew Cornell reveals an astounding continuity and development across the century. Far from fading away, anarchists dealt with major events such as the rise of Communism, the New Deal, atomic warfare, the black freedom struggle, and a succession of artistic avant-gardes stretching from 1915 to 1975. 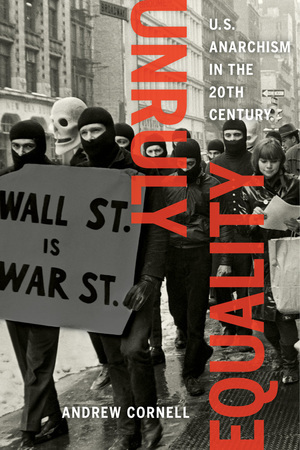 Unruly Equality traces U.S. anarchism as it evolved from the creed of poor immigrants militantly opposed to capitalism early in the twentieth century to one that today sees resurgent appeal among middle-class youth and foregrounds political activism around ecology, feminism, and opposition to cultural alienation. Andrew Cornell is an educator and organizer who has taught at Williams College, Haverford College, and Université Stendhal-Grenoble 3. He is the author of Oppose and Propose! Lessons from Movement for a New Society (AK Press).